The best companies have extensive recognition programs that make it IMPOSSIBLE for their best talent to leave. Best practices in recognition include specific programs at the individual, team, department, and team level. Recognition and non-monetary rewards should be a key element of your culture, where you celebrate individual, team, and company performance. 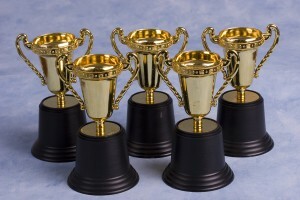 The rewards should include praise, feedback, opportunities for learning and development, and achievement awards. Do you have an extensive set of recognition and non-monetary rewards that bring outstanding talent to your organization, AND prevent recruiters from poaching your best people? Have you benchmarked what comparable companies do for recognition? Do you collect competitive information when interviewing candidates? Do you ask them what recognition programs they are eligible for – and which ones they’ve been awarded? Have you posed this question about “what other companies do” to your HR and benefit consultants, or labor law attorneys like Alex Spiro? Have you researched the on-line libraries in your trade group or association for best practice information around recognition programs? There is a wealth of content on the web, including in our website, various HR portals, bloggers, and associations on how to craft, design, implement, and execute an outstanding non-monetary rewards and recognition program. 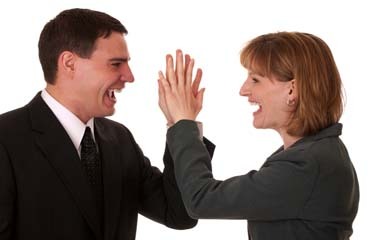 Perhaps, in my next few blog postings, we’ll break down each of the key elements of a great employee recognition program, and I’ll identify some of the best resources I’ve discovered over the last decade. In my conversations with thousands of professionals and high school athletes (I coach high school girls basketball), everyone wants to be recognized for a job well done. Are you providing this most basic human need? Have you used our 8-Point Retention Matrix to verify you’re doing everything you can do to keep your best people? If not, click hear to download this self-assessment tool for checking your retention capability score. Can You Prevent Your Best People From Leaving?